September 2016. The special “Food edition” of the Hamburg Startups Mixer went smoothly. The 20+ exhibitors agree: the event at Mindspace was a great thing, which should be repeated, and by all means even on a bigger scale. 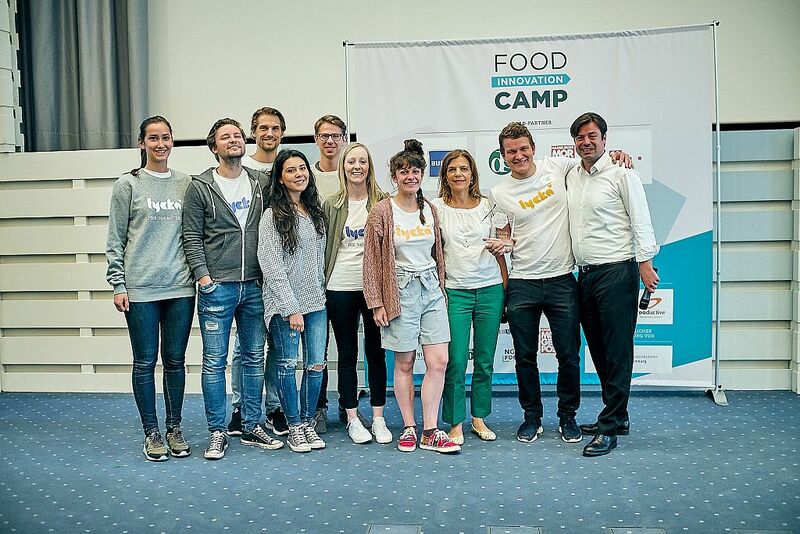 The Hamburg Startups Team, initiated by Sina Gritzuhn, gladly took up the challenge and developed the concept to the Food Innovation Camp. The exhibition area in the Chamber of Commerce. 17th July 2017. “On a bigger scale” does not quite describe it. It was simply gigantic. Alone the location of the event, the Chamber of Commerce of Hamburg, was inspirational to the visitors. 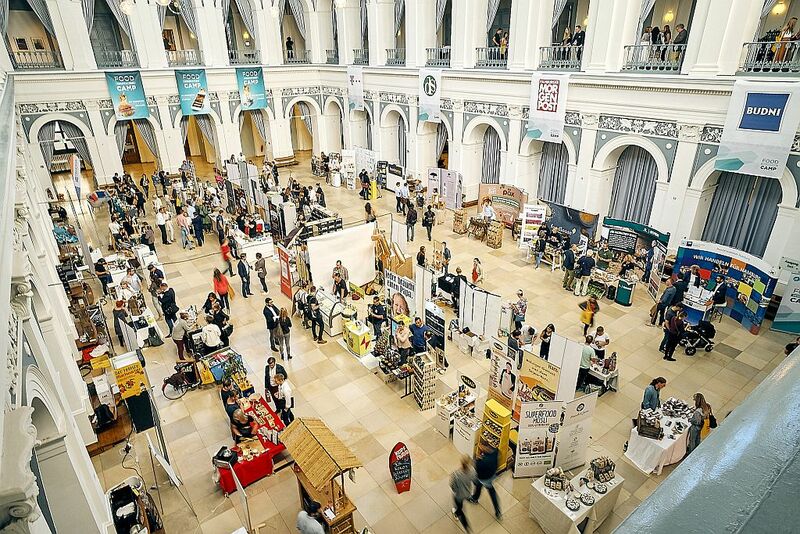 The diversity of exhibitors presented their products and business ideas at 78 stands. Around 1,000 visitors had signed up. Wait, no 1,100. In the end it was even around 1,200; The last ticket orders did not arrive until late afternoon. 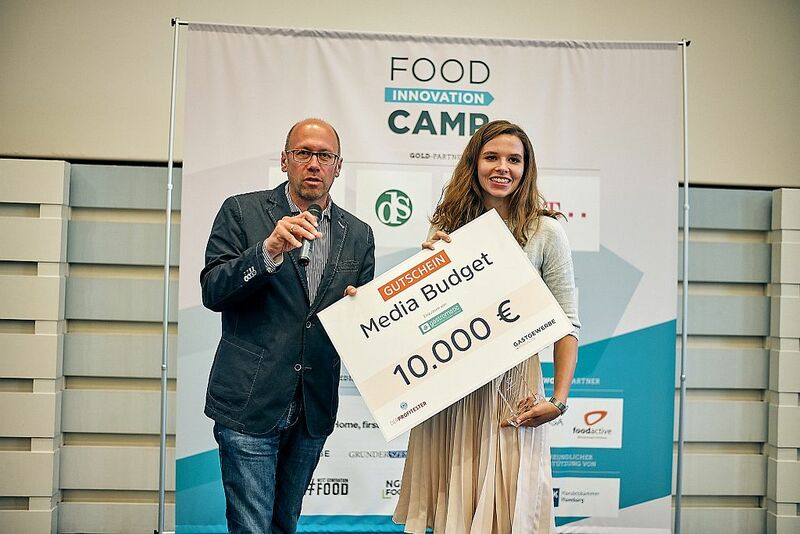 Anyone who visited the Food Innovation Camp at this time had already missed many highlights. After a few words of introduction, Chalwa Heigl had opened the program with her talk about Lovebrands. “Lovebrands”, this term was heard more and more during the day. It describes brands that have been successful not only through their products, but also through the stories they tell. The workshops were always fully attended. Especially in the highly competitive market for food, it is vital to generate attention and to arouse sympathy. Chalwa most certainly did manage it with her product, Gugl .Actually even the miniature edition of a “Guglhupfs” (German pudding) and though not inexpensive, the Gugl became the common product, and not only because of its many flavors. But the consistent marketing ensured constant media presence and increased demand. 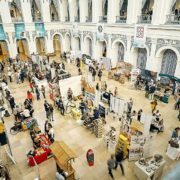 The question of how a small startup in the large world of food trade can be made was a common topic through many talks and workshops – some were so well attended that not all guests could take part. Young food startups also have many opportunities with the catering and hotel industry. Representatives from these industries, and many other ones, were abundant at Food Innovation Camp. At the stand of Konkrua. 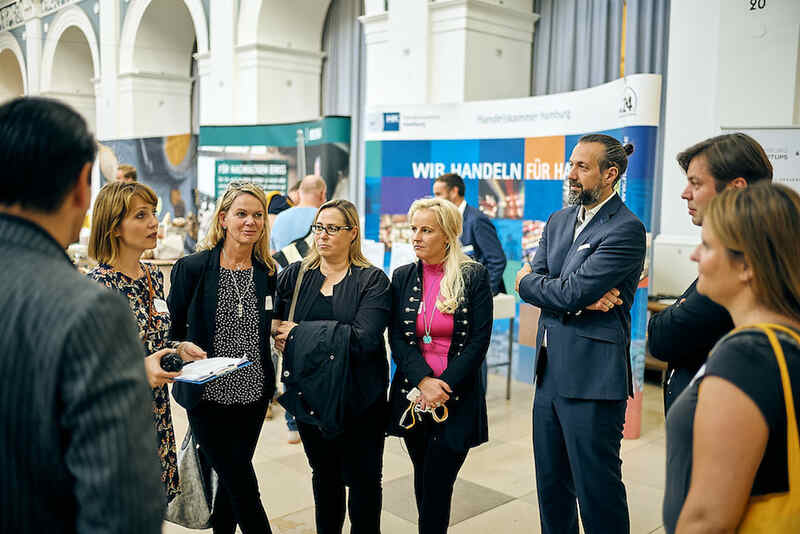 No problem, because for this purpose Hamburg Startups had arranged 160 Matchmakings and Speed ​​Datings.Here, startups were able to get to know potential investors and business partners and to get valuable tips from experts. 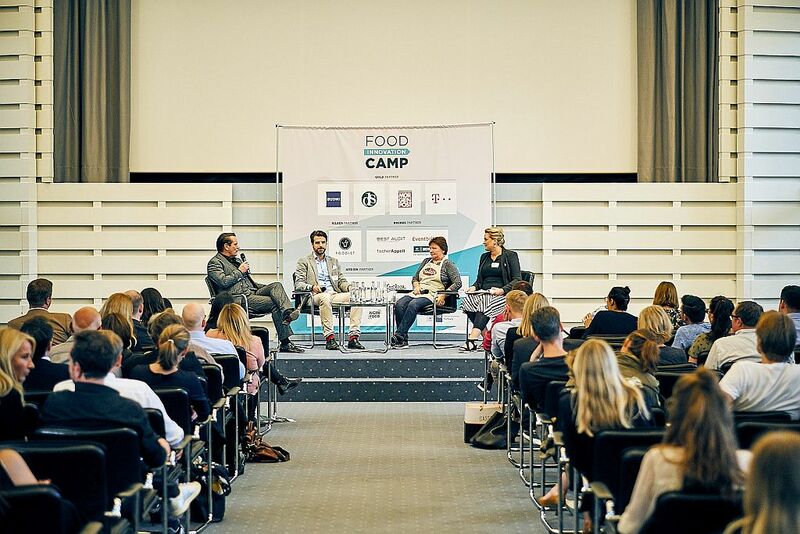 This was a major concern of the Food Innovation Camp: not just a fair, but a meeting place for all those who want to be big in the food scene. 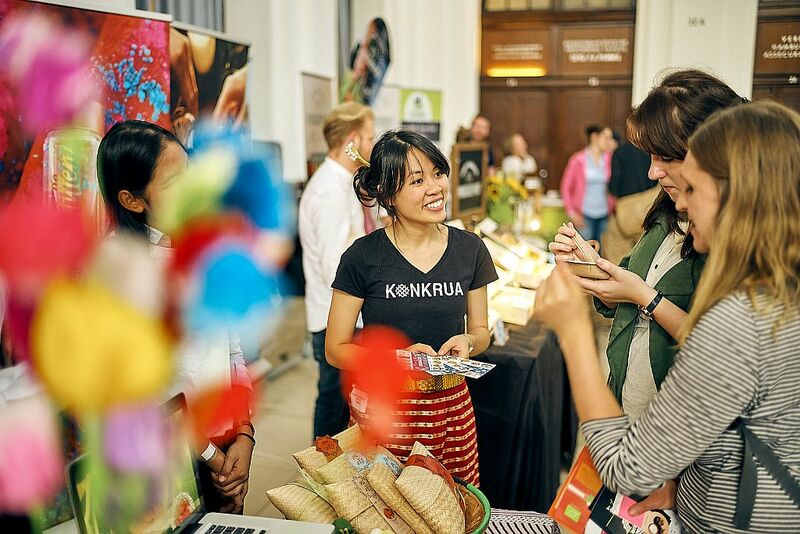 How good this has worked is shown by the example Konkrua from Stuttgart.The young company spontaneously found an investor for their Thai-Kockboxes, which were composed with authentic ingredients. Congratulations! 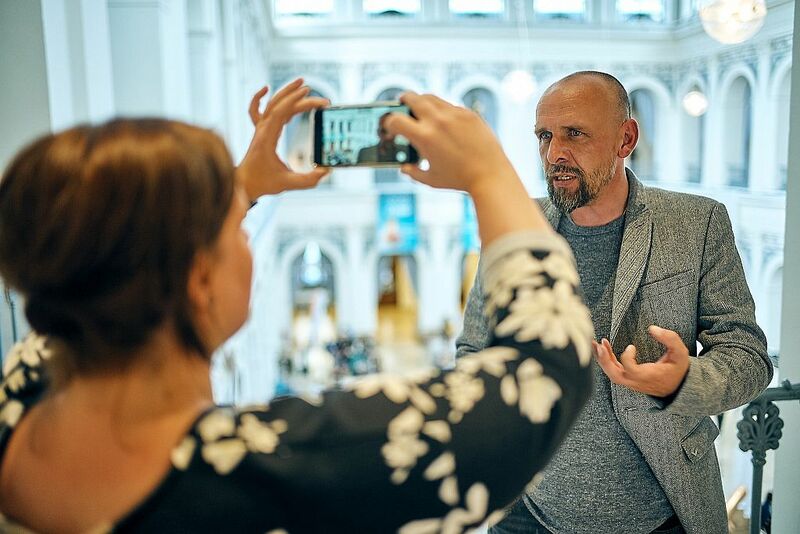 Further success stories are expected in the near future as many exhibitors reported valuable contacts and intensive discussions, including the most prominent visitors to the camp: Holger Stanislawski and Ralf Dümmel. Holger Stanislawski is a trained masseur who became an idol as a soccer player and coach at FC St. Pauli and is now one of the owners of the REWE market in Winterhude. Coveted Fotomotiv: Ex-football idol and current supermarket manager Holger Stanislawski. In the meantime almost as well known as “Stani”: Ralf Dümmel. 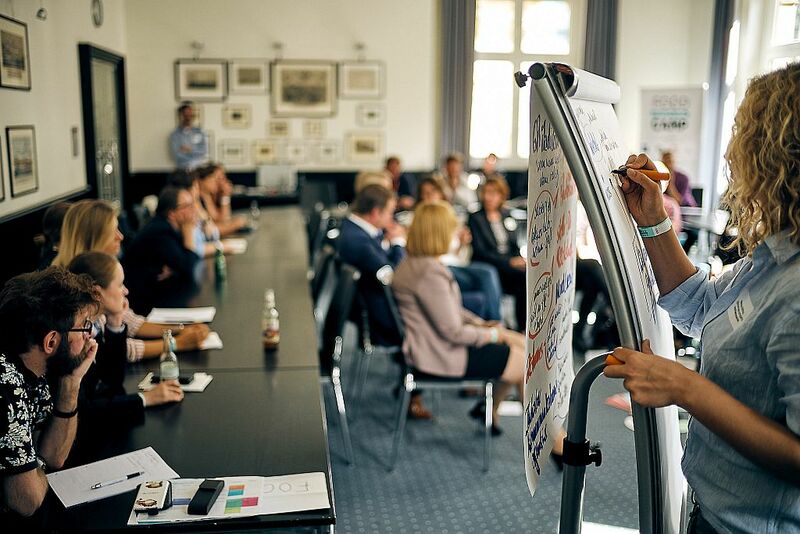 Since he appeared as an investor in the TV show “Die Höhle der Löwen” (German version of “The Dragons’ Den”), the sales guru is also considered a startup expert. He closed 23 deals in the first season, and signed a contract with 18 of them. Ten of the startups managed by Dümmels company DS Produkte were really successful, four could hopefully develop further and another four had unfortunately failed, he reported. One success story for sure is the one of Malzit. 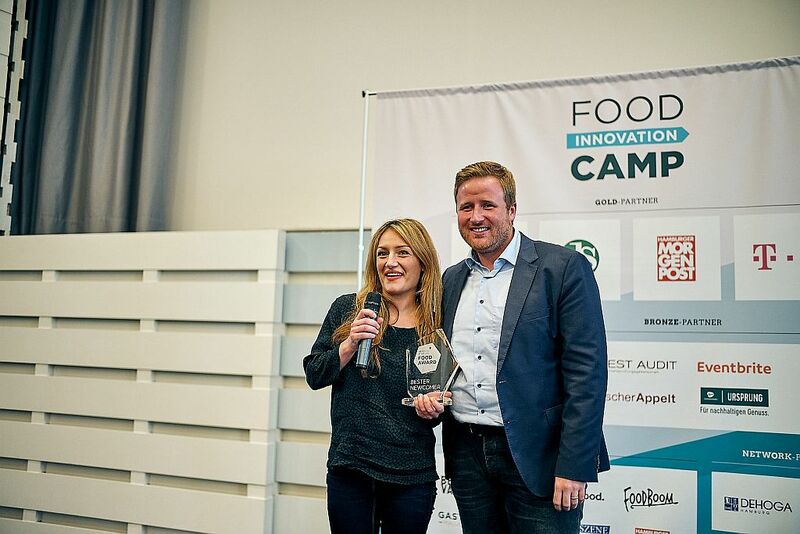 The Food Innovation Camp made it clear how cordial the relationship between Ralf Dümmel and founder Steffi Tomljanovic was. The inventor of the bread spread from barley malt is not only a down-to-earth sympathizer, but also a clever businesswoman, who has been more engaged in international patent law than anyone else. On the importance of “The Dragons’ Den” for food startups: Ralf Dümmel (DS Products), Alexander Djordjevic (Foodist), Steffi Tomljanovic (Malzit) and presenter Sarah Pust. While Steffi, as a participant of the third season, was able to estimate what she expected from the “lions”, the show was an absolute new territory for Alexander Djordjevic. He was with his startup Foodist in season one and he was not expecting the rush for the delicatessen boxes on the Internet. For Foodist, the television appearance was definitely a milestone on a remarkable road to success. More here . The Food Innovation Camp offered many other stories and topics, which we will surely come back to your ears in the coming days. 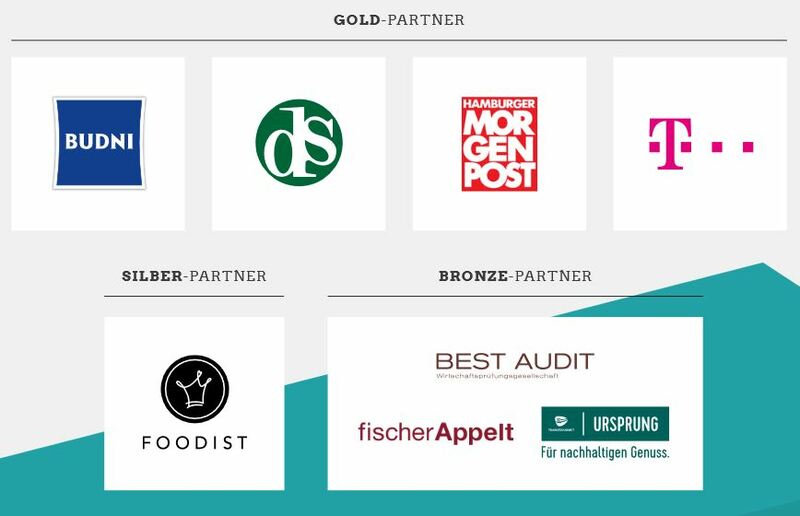 But now for the first time to the conclusion and highlight of the event: the award ceremony of the Hamburg Startups FOOD AWARDS 2017! There were the same in three categories. 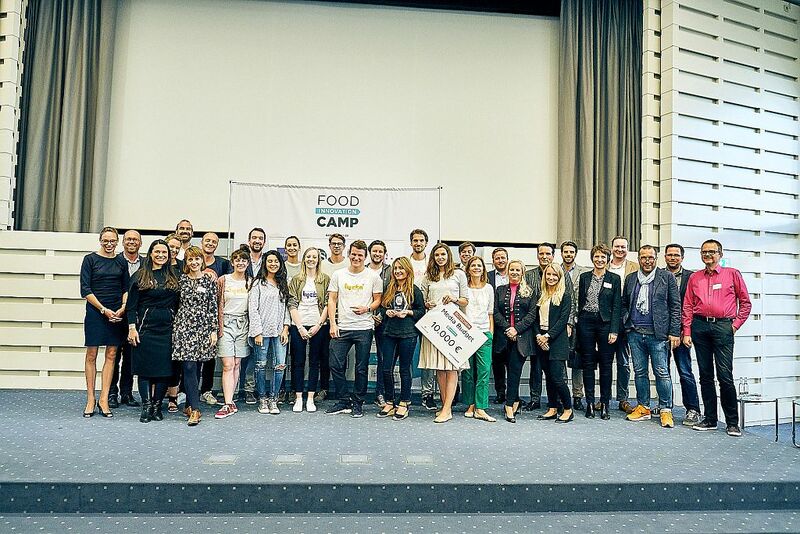 The winner in the “Best Innovation” category was awarded a mentoring and matchmaking program, as well as a participation in the NEXT GENERATION FOOD and NGIN Food Conference. For Flowtify, Parshin Moratzi received the innovation prize of Fabio Ziemßen. 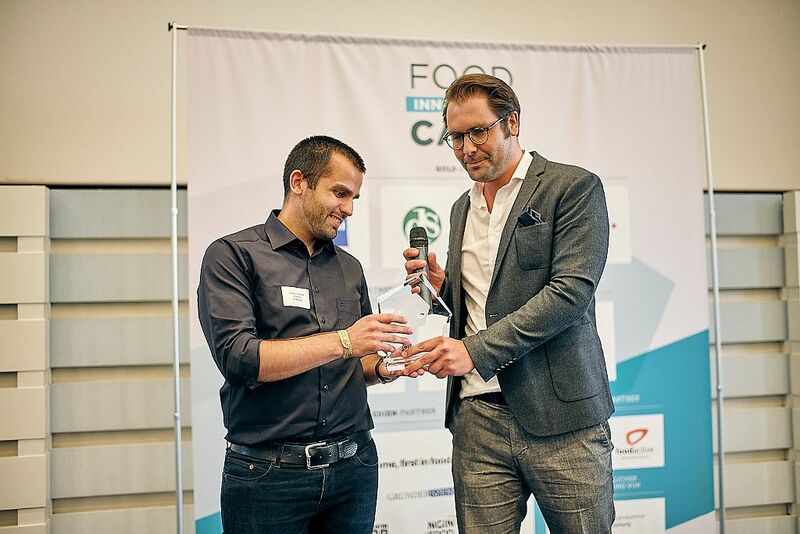 Fabio Ziemßen, Head of Food Innovation and FoodTech, presented the prize of the METRO Group to Flowtify .The Cologne startup convinced a twenty-member jury with its tablet solution for paperless HACCP documentation. What hides behind the abbreviation HACCP would take quite some time to explain. In short, it is about the implementation of hygiene regulations in gastronomy, and Flowtify has already proven in practice how well its software works. The award for the best newcomer, presented by Foodist CFO Jan Kaeten, went to Smuus .This is a bread spread, similar to jam, only with fruits and vegetables, in six varieties. And it’s not only bread spreads, but also a base for drinks and sauces, an ingredient for muesli and yoghurts and more. This variety of possibilities of uses secured Smuus a mediabudget of 100,000 euros with Foodist. The main prize for the best product was secured by Lycka .The Hamburg startup sells Frozen Yoghurt, vegan ice cream and, more recently, mini power bars. The quality of the products, the beautiful packaging design and the social commitment (part of the income helps schoolchildren in Africa) were generously rewarded. Susan Molzow, Managing Director of the Hamburger Morgenpost, secured a mediabudget of € 50,000. Nicolas Wöhlke, head of purchases at Budnikowski, ensures that Lycka is now available in all BUDNI stores throughout Hamburg. Andreas Türk from the Gastgewerbe magazine hands over the voucher for the mediabudget to gastromatic. We still have one left: The special award “Gastropraxis digital” went to the service planning tool gastromatic from Darmstadt.The prize is awarded with a mediabudget worth 10,000 euros in the Gastgewerbe-Magazin, whose editor Andreas Türk gave the award. 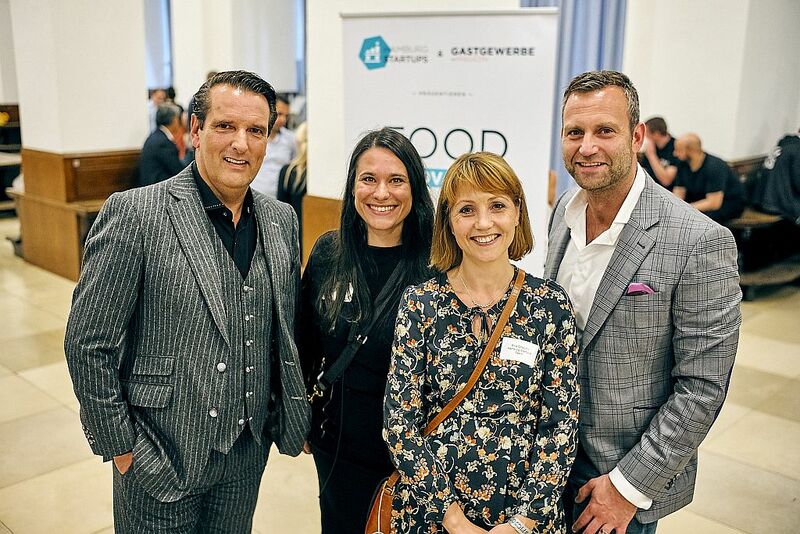 The founders of Hamburg Startups, Sanja Stankovic and Sina Gritzuhn, with Ralf Dümmel and Dr. Hanno Hagemann of DS Produkte. We would like to thank you for today! With our partners who have supported us in the organization and implementation of the Food Innovation Camp. For more details, check the graph at the bottom. A special thanks to the Chamber of Commerce and Doreen Hotze. The manager of the Chamber of Commerce’s founding center made it possible for the Food Innovation Camp to take place in this beautiful and traditional place. Organizers, partners and award winners: On this group picture, they are almost all united. Thanks also to the exhibitors who believed in the concept, as well as the numerous visitors who could hopefully take many new inspirations and insights home. To Sarah Pust for her charming and competent moderation. To all who have made the workshops, talks and discussions so informative and entertaining. And most sincerely to the many helpers who kept everything running during and after the event. The crown goes to the two founders of Hamburg startups , Sina Gritzuhn and Sanja Stankovic. Above all, Sina has been making sure that the Food Innovation Camp would be a success in the past three months. And what a success: Hamburg has now a new star event, which can radiate far beyond the borders of the Hansestadt.